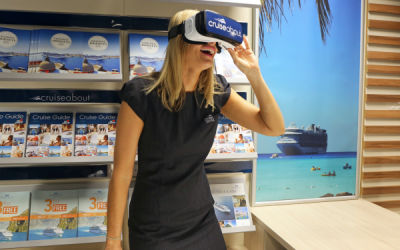 Panedia’s 360 cruise videos done for Cruiseabout were distinguished with a Silver Award at the Sydney Design Awards on the Digital – TravelTech category. 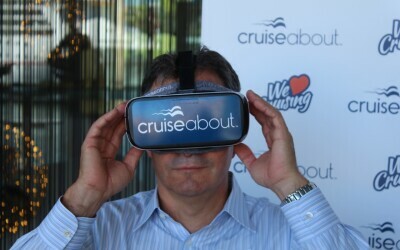 This VR production was part of a broader marketing campaign that included the cruise VR experience combined with other traditional/digital marketing media, that aimed to get people a next to real experience before making a final decision on taking the cruise. 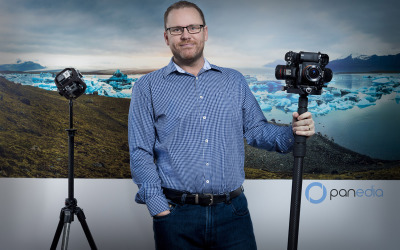 This was an amazing and exciting project to be part of, and it is absolutely rewarding to see a client receive an award as recognition of a great use of this technology and of our high quality VR content. 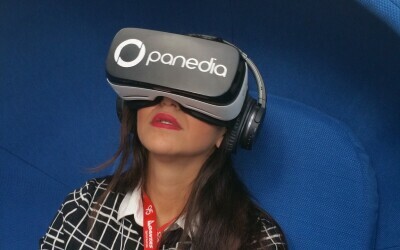 While the full project is not yet released, Panedia was showing Monaco 360 Première on the Gear VR. Sorry we can’t show any footage, still have to wait for full project release. 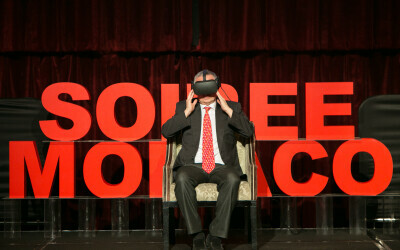 It was an amazing Première of the Monaco 360 film in Melbourne. Feedback was extremely positive and everyone was in awe after experiencing Monaco 360. We came off it with a feeling of mission accomplished and grateful that we had such an opportunity to bring Monaco to Melbourne. Kudos to a great #Panedia / #Seaview360 team with Pierre Frolla, Aaron Spence, Christophe Bailhache, Sophie Ansel and James Siebert. Today we’re launching the beta of our Samsung GearVR app, Play VR. 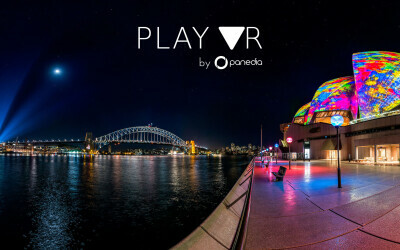 http://www.panedia.com/playvr It’s an app we’ve developed specifically for VR demos at shows and for clients, while it also has ‘advanced’ features for viewing our own content. (or yours) We’ve done over 1,000 VR demo’s and have been frustrated at the limitations of the Oculus 360video player, and how slow it is to access content via the Oculus store. (3-4 clicks before you get to the content.) Play VR has various modes you can set depending on requirements: 1. LOOP MODE: Swipe up and select LOOP MODE. Then select the video to loop. Now the same video will play endlessly, while the touchpad controls are disabled. Clients will no longer change video/pause or otherwise mess up the demo when putting on the GearVR. To restart the video any time, just click the ‘back’ button. 2. DEMO MODE: Like Loop mode, it disables controls, but only while the video is playing. When the video finishes the user can select another video. 3. ADVANCED MODE (Default): Here we’ve added amazing tools no one has ever conceived like… Fast Forward, Rewind. (All Patented of course wink emoticon) Swipe forward to Fast Forward, Swipe back to rewind. Swipe up to bring up a menu when playing a video. Access chapter points and view description, author etc. We’ve built this app specifically for our own needs as Professional VR producers, if you find it useful too, all the better. We don’t have the app on the Oculus Store yet, so we need to add your Phone ID to the Beta app in order for it to work on your phone. This also allows you to launch the app directly from your phone, which is much quicker than going through the Oculus store. We’ve set up a method for getting your ID to us on our website, and we’ll update the app every day or 2 and let you know it’s ready for you to use. So have at it, and let us know what you think. Two years after start using the Google Maps system for publishing VR content, we have reached 200 million views on our 360 degree panoramas. It is amazing to have reached this milestone, mainly because we jumped 100 million in a short 6 months time. More importantly, we are celebrating the joy and enthusiasm of having our high quality VR content available for people to experience a wide variety of places and virtually visit locations that most would not be able to do otherwise. At the same time, we count over 10 years of publishing our first panorama on the Panedia VR Production system and over 15 years of producing actual VR content. Right in the middle of the exciting ‘reaching the consumer market’ boom that VR is going through, we get ready for many more years of new projects, technology developments and hopefully, much more views on Google Maps. Things are a ‘little’ hectic at present. We’re just back from a crazy time shooting multiple projects around Vivid and the Opera House in Sydney. 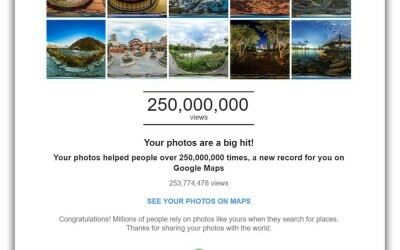 Carlos left this morning on a 2 week shoot for Tourism Queensland and just now we passed 30 Million Views on Google Maps. 30,059,310 to be precise 😉 We used to announce each additional million views our content had amassed, but somewhere around 16 million our view count was going up at almost a million a week, so it became pointless. Then we planned for a party at 20 million, which flew by while we were running a stand at an Expo in Melbourne, then we thought… OK 25 million for something special, but we jumped way beyond that when the Nepal earthquake caused a LOT of people to look at our Nepal panoramas. So now here we are on 30 million, Carlos and Sandra are away, and we’re insanely busy on a bunch of projects. I guess we start planning for a 50 million view party instead? Check out Arches National Park, Utah, USA here – Panedia Google Street View. Panedia Google views account keeps growing at bigger numbers, now more than 1+ Million a week. We keep proudly looking at this numbers as they mean recognition for our efforts and people’s appreciation of our vast and good content. 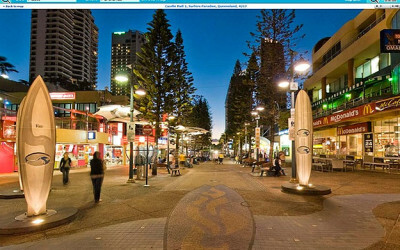 Check out Melbourne, Southbank here – Panedia Google Street View. Panedia Google views account number just jumped 3 million views! This was due to technical problems on Google statistics counting over the last months, that were just solved and reflect now the real number on Panedia page. We are so happy that so many people are enjoying and viewing our work and that is pure motivation for our future and current jobs. 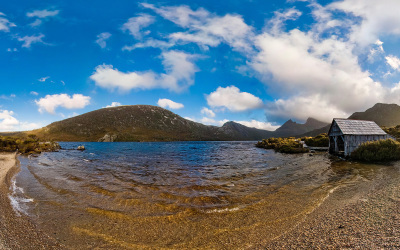 Check out Fortescue Bay, Tasmania here – Panedia Google Street View. ‘GOLD Coast specialist panoramic film company Panedia is a world beater’ makes the title of an article in our local newspaper. Nice focus for our work that finally gets some local recognition. Check out Panedia at Gold Coast Bulletin – Gold Coast Bulletin. Panedia number of views keeps going up now to 13+M. We intend to continue to upload good and beautiful content on Google Views for letting the world appreciate this fabulous locations. Check out Kings Park in Perth, Australia here – Panedia Google Street View. The Daily Mail published an article on our work: ‘The stunning panoramic pictures taken by an Australian company for Google street view…and they’ve been seen by more than 12 MILLION people’. It is always good see our efforts being recognized. Check out Panedia at Daily Mail here – Daily Mail. Another milestone crossed has our number of views increased to 12+M. We are so happy that people keep enjoying the images of those beautiful places and explore them through the Google platform. Check out Homer Tunnel, New Zealand here – Panedia Google Street View. Being this the first day of the new year, it is always good to start with good news… We have now achieved 11+M views on our Google Views account. 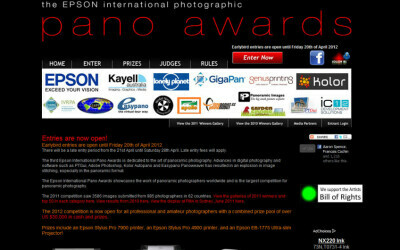 This is an incentive to keep on working hard and passionately on 360 degree photography content. Another milestone reached today, when we achieved 8+ million views on Google Views. 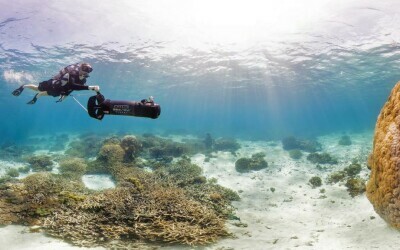 Google recently added still photos to what was once the exclusive domain of 360 panoramas, so we’ve started creating still images from our panoramas, and adding them to the service. I am loving the results, check them out on our Google Views link below. Can be seen here in Panedia Google Street View. Today we reached 7+ million views on Google Views. We started publishing still photos now and uploaded about 93 photos to add to the 1529 photo spheres that we already shared on our account on Google Views. We really like the final result with great perspectives and showing the artistic side of panoramas on this still images. Can be seen here in Panedia Google Street View. Today we got 6+ million views on Google Views. We have now a collection of 1498 panoramas fairly spread over the globe. Can be seen here in Panedia Google Street View. We are happy to have reached 5+ million number of Google views. And we are glad that people are enjoying our work and proud on our efforts and achievements. Thanks to all Panedia team for their dedication and support. Just released a 136 photo spheres from London, adding up to a total of 1360 panoramas on our account. Can be seen here in Panedia Google Maps. Another milestone achieved as we reached 4+ million views on Google Views. 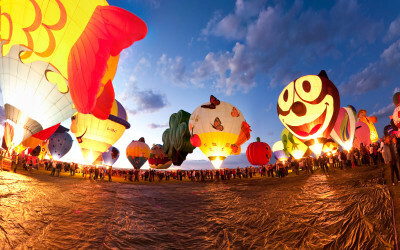 Just added two tours: Las Vegas and Los Angeles to our collection in Google. 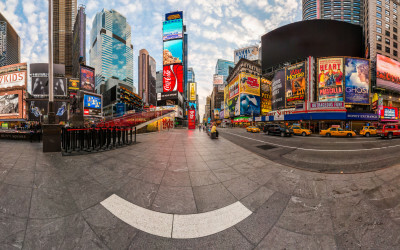 We currently have 1174 photo spheres to share with the world. Can be seen here in Panedia Google Street View. These pictures were taken during this year IVRPA conference in Las Vegas, in a reception sponsored by Google in the pool area of Tropicana hotel. The atmosphere was quite nice and colorful and there was a nice screen exhibition with great panoramic images. Panedia Google Street View. Another milestone achieved today with 2+ million views on Google Views. At this point we have 985 panoramas there and going up. The last content that we just added was the London panoramas with 105 photo spheres in total. Can be seen here in Panedia Google Street View. Today we reached 1+ million views on Google Views. We shared 707 panoramas in this platform and we are happy that people can virtually go to all this amazing places just at the distance of a click…or two. Can be seen here in Panedia Google Street Views. 3513 Virtual Tours are now online at Panedia. With hundreds more in the pipeline, 4000 should be coming up soon. I’ve been busy stitching panos from Darwin in the Northern Territory of Australia. Panos I shot back in December that haven’t been prepped until now. 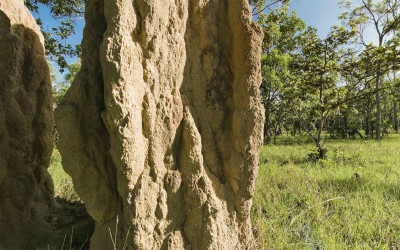 Among those panos are amazing huge termite mounds and waterfalls in Litchfield National Park about 90 minutes drive outside of Darwin, & the Aviation Museum near the Darwin Airport. Here’s a view inside the wheel bay of a B-52 bomber at the Aviation Museum. The B-52 is the centerpiece of the museum taking up much of the total floor area. We hit a big milestone yesterday, 3000 virtual tours. We should have hit it a few months ago, when I finished the panos I shot in the Northern Territory, but I haven’t finished them yet. 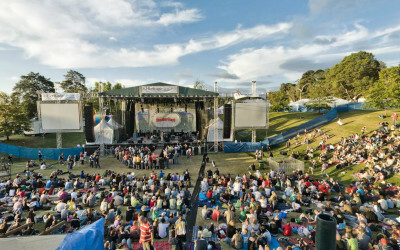 Instead I was at www.easterfest.com.au on the weekend and shot another 75 panos there, taking our total to just over 3000. So much has been going on over the last couple of months that I can’t begin to explain it all, suffice to say, many new announcements & sites will be forthcoming over the next short while. We also have hundreds more panos in the pipeline, so the 4000 pano milestone will be coming up soon. Welcome Google Maps Mania Readers. Skip to the latest Destination. 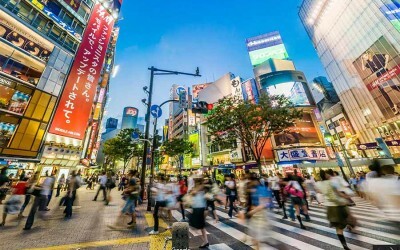 This blog is about showing Virtual Tours from various destinations. But in honour of being featured on the illustrious Google Maps Mania Blog (which I read religiously) I’ve done a quick ‘Best Of’ so passers by have an instant overview. BTW, I’ll be in San Francisco from the 12th to the 24th of June to attend the IVRPA International Virtual Tour Conference (this year hosted at UC Berkeley, by the legendary lads that run the World Wide Panorama events) so if anyone wants to invite me to lunch (hint – Google employees), to hang out, or do some ‘photo walking’ (hint – Thomas Hawk) drop me a line, I’d love to meet up & shoot some Hi rez, georeferenced virtual tours with audio Enough talk already, onto the BEST OF according to me. (Click an image to view the blog entry & virtual tour, & not all panos have audio.) Broken Hill, New South Wales. Hobart, Tasmania. Gold Coast, Queensland. (My Home Town) Bicheno, Tasmania. Sons Of Korah, AGMF (Australian Gospel Music Festival). Docklands, Melbourne, Victoria. Stanley, Tasmania.